This week we have two big events, and we think we can pull them both off without losing our minds. Wednesday we have the third installment of our “Greatest 3-Minute Series Ever” with the Greatest 3-Minute Top Ten Lists. We think it’s going to be pretty insane with people like Tim Harrington of Les Savy Fav, Dave Hill, Julia Wertz (Writer/artist, “Fart Party“) and Brandon Stosuy of Stereogum reading off top ten lists of whatever the c they’d like. If you go here, you can see all the details, and RSVP. 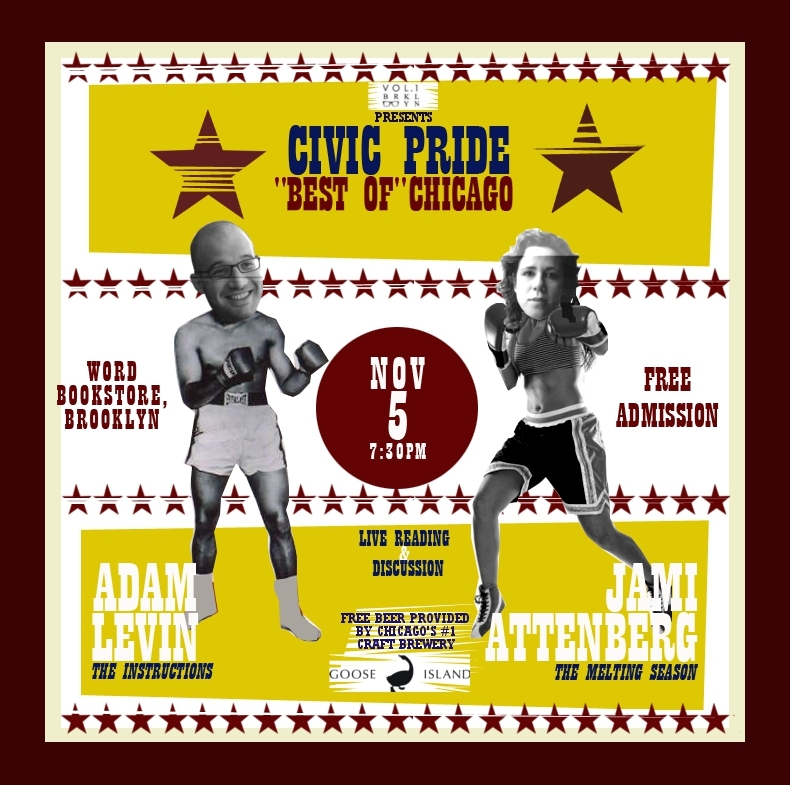 Then on Friday, you should come to WORD for our Civic Pride: Best of Chicago event. Adam Levin (The Instructions), Jami Attenberg (The Melting Season), Molly Tolsky, and free Goose Island beer for the low cost of zero dollars. Again, go here, RSVP, and hopefully we will see you Friday.